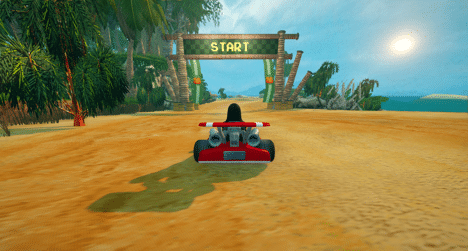 SuperTuxKart is a great title designed to bring you the Mario Kart experience free of charge on your Linux system. It is pretty challenging and fun to play, is designed to offer you a wide array of unique moments each time you play. Before you get to play the game, you have to download it. Go to the game’s website and download the latest version, then install it. The game does receive regular updates, so you want to visit the site often to get the latest version. Right off the bat, you will see that the menu has multiple features for you to explore. You have the Story mode, singleplayer, multiplayer and add-ons. The story mode is a series of races that connect to one another as a tournament, and upon completion, you will get to unlock a lot of cool stuff such as new races or new characters. The game does a very good job at adding in new characters and arenas all the time. Once you start checking out the story mode, you will see that there are quite a lot of races you can go through. There are multiple difficulty options, so you may want to keep that in mind. It will be a very good idea to check out the races here, as there are plenty of them and you can unlock more all the time. Singleplayer is all about trying races individually. You can create your tournaments if you want, but trying races is a crucial aspect here. Multiplayer will allow you and friends or random people from the web to play with one another. There’s not a lot of customizability in this game. You can change colors a little bit, so you can make individual cars look a bit more interesting. It’s an interesting feature to have, and it can go a long way in this regard. The arena mode is great. Although there aren’t a ton of maps for it, the idea is that you need to get powerups from the game world and eliminate opponents to win. This will be very interesting if you play with other people, and in fact, it’s the favorite game mode for people that want to play online. What you should know about SuperTuxKart is the fact that you can indeed shoot powerups backward. You can fire them while you look backward. It will take a bit of trial and error, but it will allow you to do some very good shots without that much of a problem. A thing to note about the game is that it expects your hardware to be able to handle multiple simultaneous key presses, and if the hardware is not sophisticated enough these operations won’t work. You can check the FAQ of the game to find more information about this issue and what hardware is recommended for the best experience. Also, keep in mind that as you race, you will be able to find various shortcuts and obtain new powerups. This is a crucial aspect of the SuperTuxKart gameplay because you do need shortcuts to make the game experience a faster and better one. As you play SuperTuxKart, you will appreciate the ability to restart the race. You can do that from the main menu, and it can work at any time. That being said, you will note the fact that SuperTuxKart also enables you to recover your car or reset it if necessary. This is a nice trick to have, and it does tend to work very well most of the time if you get stuck and want to come back to the race. Don’t bump into opponents. Try to avoid them as much as you can, as this can cause issues to your stability and you can end up losing the race. We recommend you to test the tracks on your own as a practice method. Learn all the ins and outs of each track so you can access each shortcut and get in front of the pack! 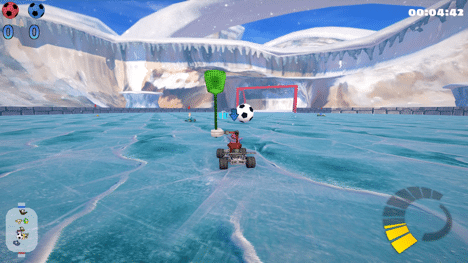 SuperTuxKart is a fun game, and each new update brings in front some new cool ideas that you will like a lot. This is an exciting game for sure and one that manages to always bring you something cool and new to the table. 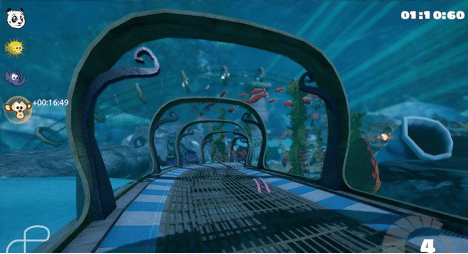 If you are a fan of kart games in general, you don’t want to miss it!